Sarina Bratton, Chairman Australasia of French-based expedition and luxury cruise line COMPAGNIE DU PONANT, today announced the appointment of acclaimed Australian adventurer and expedition consultant, Mick Fogg, to assist the company with development of expedition itineraries as it expands its expedition cruise content in the Asia Pacific region. As an award-winning wildlife photographer and adventurer, Mick Fogg has spent 17 years scouting and developing new itineraries, leading expeditions and photographing some of the world’s most remote and spectacular destinations from Antarctica to South East Asia. 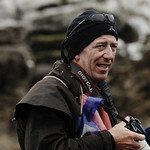 Sarina referred to Mick’s extensive experience, saying "Mick has led numerous cruise expeditions through the Sub Antarctic Islands, Australia’s Kimberley and Great Barrier Reef, Vanuatu, Solomon Islands, Papua New Guinea, Indonesia and Malaysia and now he brings this wealth of knowledge, energy and passion to Compagnie du Ponant. "His role will be to assist develop new itineraries that showcase the flexibility and attributes of Compagnie du Ponant’s purpose-built luxury expedition small-ship fleet, taking guests to remote and often rarely visited parts of the region to experience extraordinary destinations and cultural interaction." Since obtaining an honours degree in Marine Biology from James Cook University, Mick has combined his passion for exploration and travel with a desire to educate people about the myriad of wonders that abound in nature’s richest realms. Mick is an engaging lecturer who enjoys sharing his keen interest in history, biodiversity and photography with an eclectic range of topics that span from “Why aren’t there monkeys in Australia?” to “Happy snaps underwater”. In 2012 Mick was rewarded for his conservation work in Indonesia by being appointed the first Ambassador of Orangutan Foundation International (Australia). The website www.ponant.com provides detail on the fleet, voyages, itineraries, inclusions – and the videos in particular will give an appreciation of the French style that is the COMPAGNIE DU PONANT signature.